MANILA, Philippines — State-run Social Security System (SSS) is seeking to implement by April the proposed increase in the contribution rate of members to raise its collections and improve the viability of the fund. In an interview, SSS president and chief executive officer Emmanuel Dooc said the state fund is asking President Duterte to issue an executive order raising the SSS contribution rates and enabling the state fund to implement the hike by April this year. “Our prayer is to get this approved by the President and for us to also get it approved by the (Social Security) Commission so we can implement it starting April,” Dooc told reporters. Earlier, Dooc said the SSS is seeking to increase its member contributions by three-percentage points to 14 percent from 11 percent of the monthly salary credit. The SSS also wants to increase the minimum salary credit of members to P4,000 from P1,000 and the maximum salary credit to P20,000 from P16,000. If implemented by April, Dooc said the contribution increase would generate P45 billion in additional collection until the end of the year. It would also prolong the state pension fund’s life until 2044. According to Dooc, the SSS sent last week a letter signed by him and Social Security Commission chairman Amado Valdez to Finance Secretary Carlos Dominguez requesting for an endorsement of the proposed increase to President Duterte. “He is actively reviewing it because I was asked to pass some additional details in relation to that. And he is again calling us to a meeting to discuss it before probably he endorses it to the President,” Dooc said. Dooc said the state fund has resorted to seeking the President’s approval by way of an executive order as the proposed amendments to the SSS charter – which would empower the SSC to increase rates – may take time in Congress. “I feel that it will be a faster way and that was suggested to us by none other than the Secretary of Finance,” he said. The SSS reported a net income of P9 billion in 2017, 71.85 percent lower than the P32 billion in 2016. 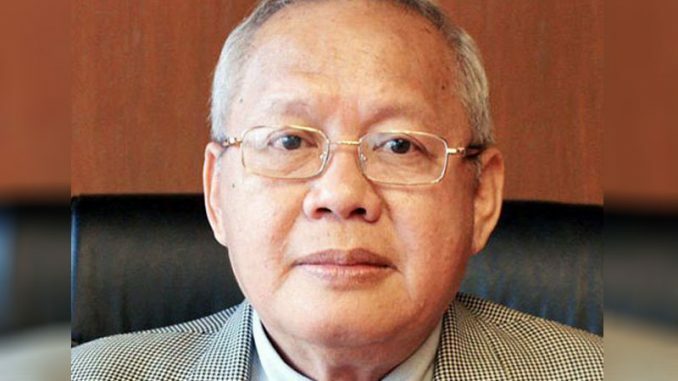 Dooc attributed the decline to the P32 billion additional benefits it disbursed to members last year after the P1,000 hike in the monthly benefits of SSS pensioners.